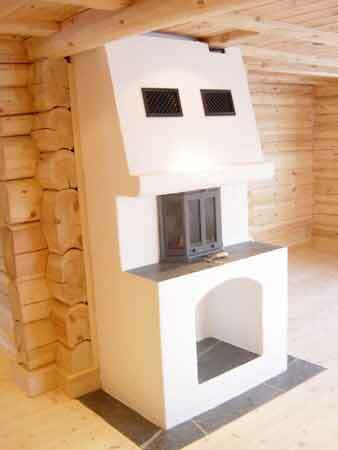 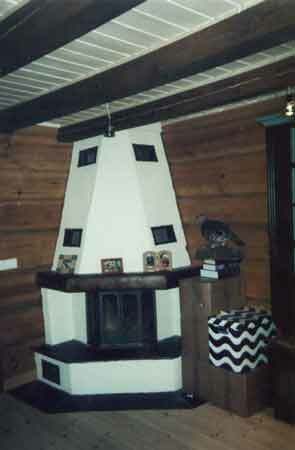 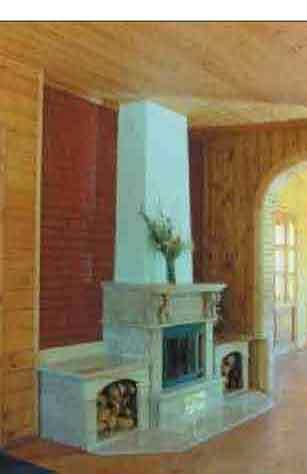 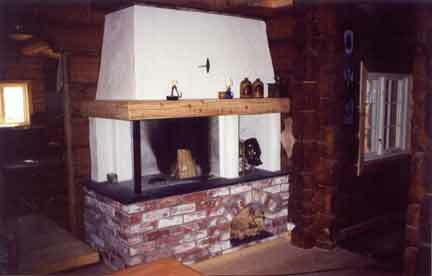 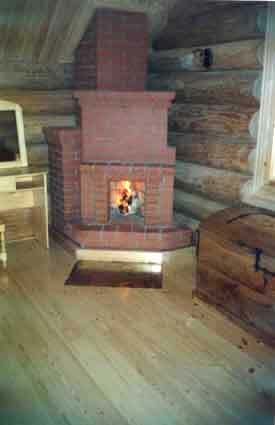 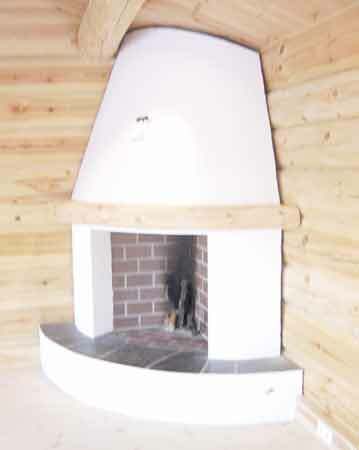 Fireplace in a wooden house. 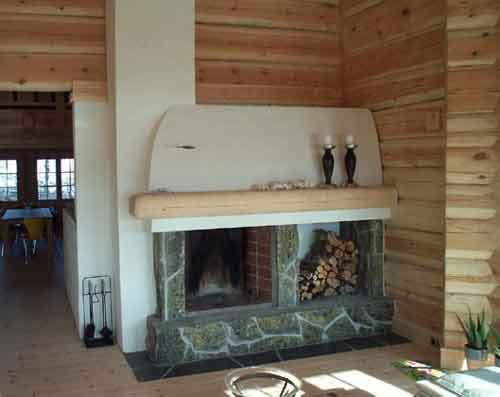 Warm, quieting colors of wood, its natural texture give you the feeling of comfort and easiness. 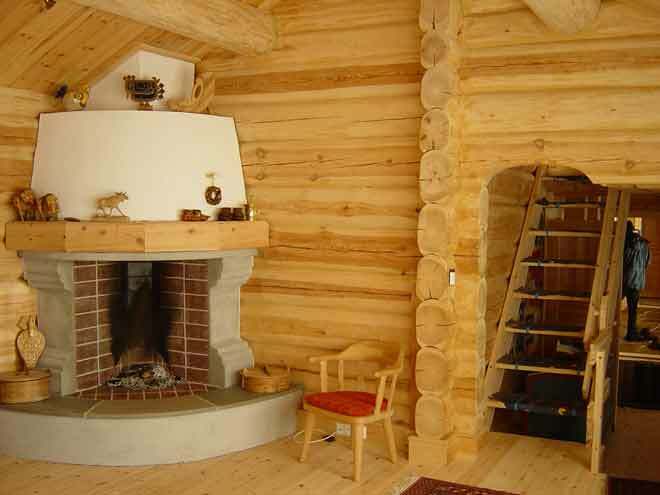 In the interiors of a log home you can quickly relax and feel yourself at home.